I have a question. You say 'The more variety in your diet, the better profile your gut microbiome will develop'. This makes intuitive sense, but Dr. Ayers of the Cooling Inflammation blog gives the opposite opinion in his latest post stating 'If the diet is fairly constant, then the diversity of the population (of gut bacteria) gradually increases'. I'm sure you're aware of Dr. Ayers and that he knows his stuff about gut bacteria. How do you reconcile his take with your advice? Agree with you entirely, Tim. Dr. Ayers has to evolve and read some current research. I'm sure he was blindsided by studies linking rheumatoid arthritis and T1 diabetes with disbacteriosis of microbiome. Who would have thought: Prevotella copri! It's like putting a predatory snakehead fish into your neighborhood pond. 1) From what I've read here and personal experience, I'm pretty convinced that RS is therapeutic for people with messed up gut biomes, and generally beneficial to all. But can it really be a prereq for good gut health? There must be plenty of people who don't consume much RS and have in tact guts. How else to explain the near-carnivorous Mr. Pottenger's bionically badass biome? 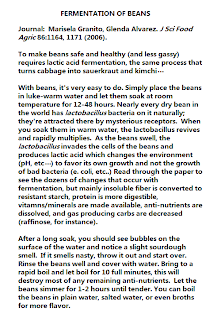 2) Are lacto-fermented foods really such a good idea for people with SIBO? SIBO involves an overgrowth of even normally beneficial organisms, especially D-Lactate producing ones. How does adding more of these help? This is the most informative blog I have found on the whole SIBO/pale/carb debacle. After years of no gluten, sugar/fruit and basically zero carb, I wound up with the most damaged gut and toxic liver a person could have and was wasting away. Couple that with loads of stress, an iatrogenic steroid overdose and everything crashed - gut, immune system, hormones. I've been wracked with gut infections, SIBO, parasites and fungal species for the last 4 years. I have been doing ALL the wrong things - a completely carb free a la GAPS, FODMAPS and SCD (but no fruit or honey) has only served to further my decent into Hell and crash my adrenals. As a former athlete, this has been devastating. Everything you have said makes sense, especially when I see almost no butyrate on my stool tests but a lot of other pathogenic critters.Where can I get some more info on the proper way to ferment grains and vegetables? Do you have any instructions available on this blog or elsewhere? Thanks so much for your invaluable and very possibly life saving suggestions. I hear ya. I've done many of the things that you've done as well (and being BLINDO, I didn't see the adverse effects on my athletic performance and should've stopped immediately). 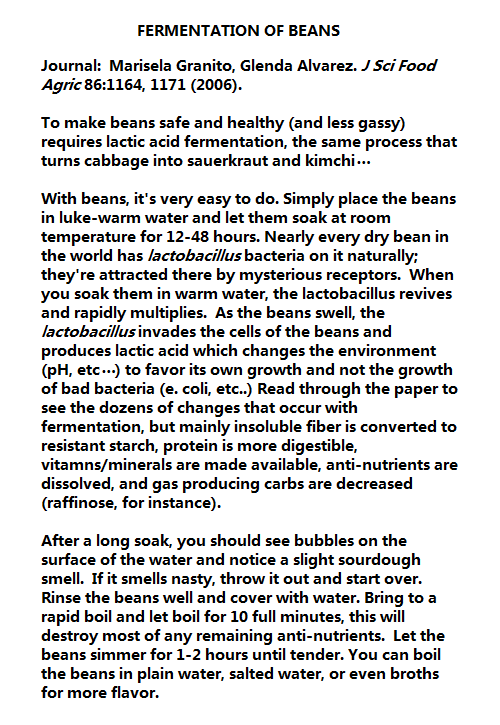 Sandar Katz has amazing books for fermenting foods. Have you read him? Please keep us updated with your progress! I'm so pleased that you are using the integrative medicine stool testing to figure out what is going on. UR SO ADVANCED~!! Stress ( all types; emotional, surgical, antibiotics..-> disgruntled gut. In my attempts to fix it and it's attendant sequel are I've screwed myself up more every step of the way. Poor T3-T4 conversion was treated with meds instead of gut/stress treatment. I've SCD'd (( could never get out of the intro stage, but 3 months of it left me unable to digest any fruits and veggies, basically) and VLC'd and IF'd myself from tried with a bad gut to adrenals exhausted and a very screwed up gut...live and learn, right? I suspect that a lot of the VLC and IF advice should at the very least be significantly adjusted for women. Especially stressed women, which is most of us -what with the dual and triple responsibilities women have both biologically and socially. Grace, following your story on your fantabulous blog, am I assuming correctly that your fantastic weight loss attained in part with the prolonged cardio regimen you describe came before (lead to?) your adrenal problems? So many people, again women especially, seEm to be walking ( or rather, running :-)) right into this booby traps seduced by success stories ( with no long term follow up, btw) r dramatic body composition improvements from VLC Paleo, IF and the whole nine. Thanks for sharing, it is encouraging to feel one isn't alone in this boat! I totally concur "I suspect that a lot of the VLC and IF advice should at the very least be significantly adjusted for women. Especially stressed women, which is most of us -what with the dual and triple responsibilities women have both biologically and socially." Actually the great majority of my wt loss was VERY SLOW and by doing long distance running eating croissants, sprouted wheat and peanut butter and jelly all day. It would've been faster on rice and glutenfree -- but at the time I didn't know better. Frankly I became too skinny at 110-112 Lbs and found Xfit that raise my muscle mass and I gained wt to 122# which was much more normal. VLC was VERY VERY VERY bad for adrenals after I attempted and failed (and subsequently had a horrific biking accident) to ketoadapt for 9 months. You are right on, hawwt grrl. Women perhaps are not genetically built or in modern times our lame, sucky adrenals preclude extremes like VLC or IF'ing. Yeah, if it's true that even HG men eat more protein than the women (easy to see how this would have developed from their different roles in procuring food), and women being gatherers probably are/were nibbles, too, it makes sense even from that perspective that women wouldn't have developed to need and tolerate VLC and IF the same way men would. bTW, I can't find a way to subscribe to comments here, what am I missing? 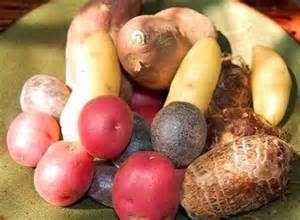 Hi, is there a list of low glycemic tubers and grains appropriate for the insulin resistant? Also how do you find ancient heirloom versions of these? Thanks Tim, I'm starting to experiment, and its hard to not want very specific rules and guidelines but I guess that s not very realistic. I've been through many diets over the years trying to address IBS-D, leaky gut, and possible SIBO. the more I tried the worse I seemed to feel and I could never go long without cheating with cookies or chips or chocolate, etc. Chips (potato or corn) always seemed to normalize my bowel movements the new next day (it I often diarreah) and I wonder if it's because of the starch. I'd been scared away from starch from the paleo and primal crowd, and also learned this year I'm prediabetic.. but I'm willing to give this a shot. Unfortunately my soaked stone ground oats cooked this morning did not agree at all. I've got soaked lentil and sprouted quinoa waiting for further experimentation. Should I incorporate SBO probiotics right away (I haven't taken them before) or do each of the 7 SIBO steps require waiting? I have been reading this blog with much interest and wondered if you could point me in the right direction. I have been on the GAPS diet for the last 10 months due to the extreme bloating, gas and constipation I have been experiencing. This has helped greatly however I am now sensitive to some GAPS foods which are all high FODMAP foods. Would you advise moving straight into the 7 steps to cure SIBO diet (to get Resistant Starch into my diet) or should I do a FODMAP diet first to try and dispel the existing intolerances? After 10 months of very little starch on GAPS I am wondering if I should just dive right in and get some RS into my system. Thank you for your wonderful blog! I get joint / skin symptoms when I eat fructans or digestible starch - but not when I eat extremely unripe plantains. Do I need to "weed" first? How do I go about "weeding"? I've yet to try unmodified potato starch because I'm worried about nightshades (I stopped eating them since getting diagnosed with an autoimmune disease). Also, am I not ready to start this 7-step SIBO plan if I can't tolerate starch? 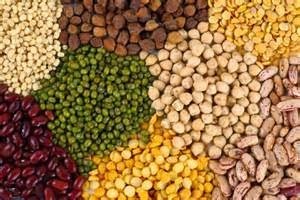 Are any SIBO sufferers finding that legumes make there symptoms worse, even when properly soaked and prepared? I've been following the RS steps on this blog and have experienced great results. However, I still can't have beans or dairy (fermented or not). Both seem to exacerbate the SIBO. While many of my ailments resolve with RS (i.e. dandruff, acne, keratosis pilaris, weak nails, etc. ), once I eat certain foods like beans, dairy and cruciferous veggies, the symptoms return. I'm wondering how I can get over the hump and heal my gut for good, so I can enjoy these foods again. I saw on your food list 'Steel cut oats'. Do you think this is a good food to eat? I know it has a good RS content eaten raw but I thought it was unhealthy in other ways? I'd appreciate your comment on this and love your blog. Like all fiber or new foods, the gut requires time to respond and acclimate. Have you done testing? Gut testing reveals what needs to be weeded. Oats are mainly beta glucan and other fiber which are fantastic for the microbiota. Some people do not tolerate if there is gluten cross contamination. The RS content is high when raw but after cooking it goes to almost 1 g or less per serving. 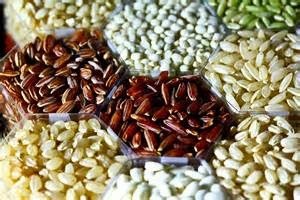 Raw oats are problematic for lectins and phytates which bind iron and other vital minerals and cause deficiencies in human trials. Has anyone tried lotus root as a source of RS? It's pretty lowcarb and tastes great fried! Love lotus roots in Shanghai! Love the crunchiness and versatility blanched in salads or stuffed with meat or sweet glutinous rice as a dessert. Beautiful holes. did you get fresh ones in the USA? Any SIBO sufferers ever tried Silver Hills' sprouted ancient grain bread? I'm wondering if this would be safe because the grains are sprouted. I'd really love to get the health benefits of the ancient grains. You guys seem to really know your stuff! I commented on another post here, but then read alot more and now have some more specific questions. I have Ankylosing Spondylitis, so I am following a no starch diet. But I do beleive the key to really healing is a healthy gut biome. How do you guys think I should procede, regarding RS? Meaning how can I incorporate it without feeding the Klebsiella or whatever it is that is causing an immune response, and consequently, flares of intense join pain? I am also interested in getting a stool test to determine what bugs I do have in my gut. I saw in one post the author asked if anyone wants to get tested - I do.